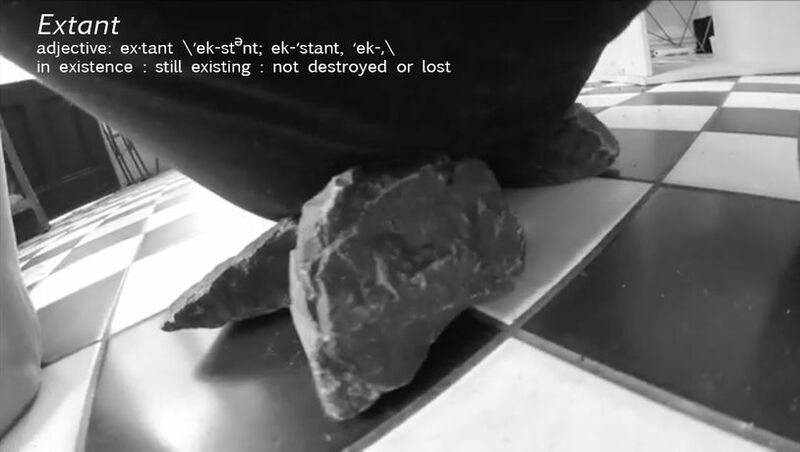 Still from Body Interfaces: A Processual Scripting was a performative installation generated by Tina Mariane Krogh Madsen over the duration of one week: from April 15. to 22. 2016 at Grüntaler9 - a space towards the performative in Berlin (DE). Michelangelo ContinI born 1976 in Milano, Italy. In 1995 he moved to Bologna to study Music and arts (D.A.M.S.) and during the studies he started to paint. In 2002 he moved to Berlin where is actually living and working. Parallel to his work as a painter he starts different collaborations in music and performative projects. In 2004 he developed a short 7 minutes pieces for the first edition of Lucky trimmer together with the dancers Nancy Banfi e Olga Tzikouli. In November 2007 he founded together with the danish painter Trine Bork Kristensen the project space II II // I in Berlin Wedding, an open plan attic that offers a diverse platform for visual art practice. In 2007 he realized the piece “Gegen die Identität” in collaboration with Nancy Banfi, Olga Tzikouli and the musicians Marcello Busato e Margareth Kammerer. From 2008-2010 he played trumpet with the Spiegelklettern, an experimental jazz band with Marcello Busato, Pablo Juanes and Seby Ciurcina. In 2015 he formed the Salt Welcome, a music project in collaboration with Gearóid Ua Laohgaire and Pablo Juanes. He was Composer and performer in the Choregraphy by Lina Gómez Träumerei des Verschwindens (2015) and STAUB [Poeira Surda] (2016) presented at the Uferstudios Berlin. Ida Koitila (b. 1983 in Borås, Sweden) lives and works in Berlin (GER). She graduated from the Finnish Academy of Fine Arts in Helsinki 2011, and have since then actively participated in group exhibitions in Finland, Sweden and Germany. Earlier this year, she presented her solo exhibition Crash of Air in the Finnland Institut in Berlin. Koitila extracts symbols from narratives, turning them into material counterpoints,compulsive structures and processed surfaces. This chain of reversed alchemy results in metaphysical golems (a clay figure brought to life by magic; Hebrew, g.lem ‘shapeless mass.’), that become alive with the surreal weight of spectator's own intimacy - the dream-like memories deep inside the lizard brain, triggered by the color of that rope, the texture of that fabric, the fragility of those seashells, or the consistency of that candle wax.